How are you marketing your business? Why not come along to our FREE 7 Steps to Marketing Seminar for all of our Honey Fizz delegates. It’s not all about the marketing, but understanding why and how your clients make buying decisions, so that your marketing is targetted in the right way. We like to have a bit of fun with it, and had a bit of banter with Euromedical Systems on Twitter today. Go and check out our conversation here on Twitter. 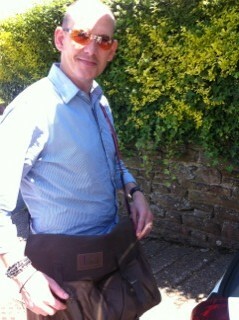 The picture of Richard with his ‘man bag’ should give you a clue.